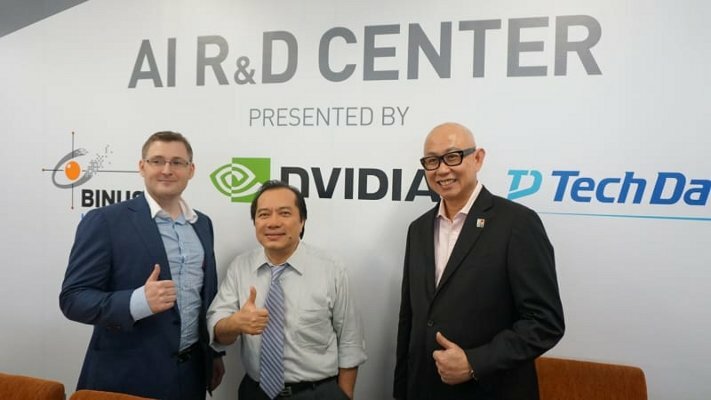 NVIDIA today announced its collaboration with BINUS University and Kinetica to establish the first artificial intelligence (AI) research and development (R&D) centre in Indonesia. Supporting BINUS University to deliver the first AI R&D centre in Indonesia, Kinetica will be providing the accelerated database that runs on the GPU servers at the centre, which is located at the university’s Anggrek Campus. Kinetica’s GPU-accelerated database are built to support the advancements of machine learning and AI. GlaxoSmithKline, for example, is using Kinetica to help transform the way data is used as a strategic asset within its R&D organisation. Dr Bens Pardamean, director of the university’s Bioinformatics & Data Science Research Centre, who spearheaded the effort in establishing the centre mentioned that mastering the knowledge and advanced technology in the field of IT is one of the provisions in having a successful career in multinational companies or becoming an entrepreneur. Through the centre, they will do their best and try to educate, enrich and empowers the society. “Today, we stand at the beginning of the AI computing era, ignited by a new computing model, GPU deep learning. This new model — where deep neural networks are trained to recognize patterns from massive amounts of data — has proven to be ‘unreasonably’ effective at solving some of the most complex problems in computer science. In this era, software writes itself and machines learn. Soon, hundreds of billions of devices will be infused with intelligence. AI will revolutionize every industry. NVIDIA provides the products and solutions to power this revolution,” said Teh. “The world’s top researchers are pushing the boundaries of AI and doing amazing things to impact the world to make everybody’s life better. 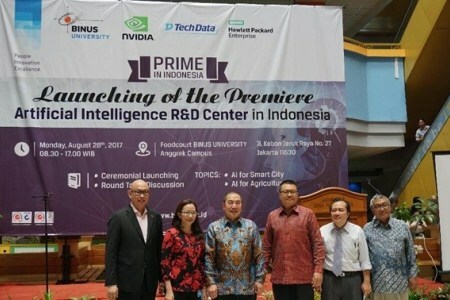 We advance fundamental research and foster partnerships with universities, such as this collaboration up with BINUS University to setup the lab to keep AI pioneers ahead of the curve with support for students, assistance from our researchers and engineers, and access to the industry’s most advanced GPU computing power,” he added. “This research centre is a tangible form of the BINA Nusantara vision to foster and empower the society in building and serving the nation. At BINUS University, we consider collaboration between higher education institutions and industries imperative in reaching this objective, as well as our BINUS 20/20 vision of being ‘a world-class university… in continuous pursuit of innovation and enterprise’,” said Gunawan.